Pray like this often. It reveals the truth and the will of God for you in Christ Jesus. 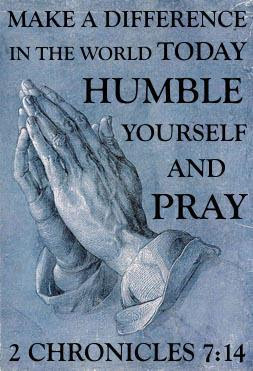 Matthew 6:9-13 "After this manner therefore pray ye: Our Father which art in heaven, Hallowed be thy name. Thy kingdom come, Thy will be done in earth, as it is in heaven. Give us this day our daily bread. And forgive us our debts, as we forgive our debtors. And lead us not into temptation, but deliver us from evil: For thine is the kingdom, and the power, and the glory, for ever. Amen." Believer in Christ: God is your father. God's kingdom has come and is coming in Christ Jesus. God's will will be done because He has ALL POWER AND AUTHORITY. Jesus holds the keys to heaven and hell. It is not Jesus's will to lead us into temptation. It is Jesus's will to deliver us from evil. Jesus's will is in perfect agreement with our Father God in heaven. He's our Father too - because we are in Christ Jesus - by grace through faith. Our Father's will will be done in earth as it is in heaven in the holy name of Jesus Christ. There is no name higher than the name of Jesus Christ. There is no doubt that Jesus's will is done in heaven. There should be no doubt that Jesus's will will be done in earth. In belief, in faith, there is no doubt - no fear. Prayer is agreement with God. Let us all be in agreement with Jesus. Say: "I agree with you Jesus. Father God, thank You for removing temptation - making it be far from me. Thank you Father God for delivering me from evil. FOR YOURS, FATHER GOD, IS THE KINGDOM AND THE POWER AND THE GLORY - FOREVER AND EVER! P.S. AMEN means, "So be it." AMEN means, "We agree: It's a done deal!"